Public Bicycle Sharing (PBS), or bike share, as it is more popularly known, was first introduced in Amsterdam in 1965. While the concept spread to various European cities, it remained largely experimental in nature and small in scale. It wasn’t until the late 1990s and early 2000s—with the incorporation of advanced smartcards and progress in Information and Communication Technology (ICT)—that bike share came to be viewed as an innovation with significant potential to promote cycling and sustainable urban mobility. Since then, bike share has witnessed tremendous growth and widespread adoption. As of 2013, there were 639 bike share systems across 53 countries, with a combined fleet of nearly 650,000 bicycles. Studies have shown that bike share increases modal share for cycling, creates safer roads, improves health, and reduces gender disparities. Bike share also wields benefits for traditional modes of transport, as it has the potential to reduce stress on congested systems in dense urban areas and increase access to public transport in less dense regions by acting as a last mile connector. Around the world, bike share has come to be seen as an effective instrument in the sustainable urban mobility arsenal. India, however, remains behind the curve in bike share. Several small scale pilots have been attempted in cities like Ahmedabad, Bangalore, Delhi, and Mumbai. Unfortunately, these attempts have failed to scale-up into large city-wide systems, and are no longer active. While they were primarily led by well-intentioned individuals, the lack of significant government support prevented the expansion of these initiatives beyond the pilot stage. In the future, it is essential that the planning of these systems incorporates both the lessons learned from Indian pilot initiatives and the best practices from successful systems around the world. The utility of a bike share system increases exponentially with its scale and coverage. If a system is too small – with too few locations or too few cycles – it is unlikely to serve as a convenient mobility option for most people. Small bike share pilots are largely unsuccessful precisely because they are small, rather than due to any inherent problem with the concept. Therefore, a serious implementation of a city-wide bike share system must commit to a sufficiently large scale. Bike share systems are among the cheapest public transport systems to deploy; however, excessively focusing on cost minimization can be counter-productive. Skimping on the quality of hardware and software impacts both operational efficiency as well as the image of the system. Bike share systems with high-quality components, comprehensive ICT capabilities as well as cohesive communications and branding strategies are most likely to be successful. There are a wide variety of business models and contractual arrangements for procuring and operating bike share systems. While cities must choose the model that works best for them, it is critical that the motives of the operator align with the interests and goals of the city. In many cases, poorly structured contracts have led to situations of moral hazard, where the financial outcomes for the operator are not strictly tied to the quality and performance of the bike share system. As with any new concept, unique aspects of the Indian urban context which may impact the utility and performance of bike share systems need to be identified and addressed. Some of these include, for example, the lack of familiarity with automated systems, a predominantly cash-based economy, and the wide range of socio-economic backgrounds of potential system users. Local governments will have to closely evaluate the social and economic landscape in their city and adapt system features to ensure maximum inclusivity and access. Modal shares of cycling have been falling across Indian cities over the last decade. For a bike share system to be successful, it is necessary that people be willing to consider cycling as a viable mode of transport. Thus, it is vital that any city striving for a successful bike share system undertake awareness, interest, and incentive building exercises of various forms. These exercises should encourage people to initially try the system and later work to convert casual users into regular users. 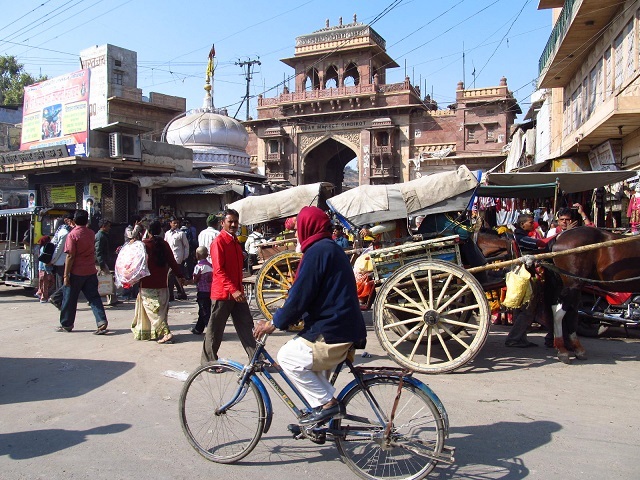 While slow to start, many Indian cities are now expressing a strong desire to implement large, city-wide bike share systems, with Delhi, Mysore, Gandhinagar, and Bhopal at the forefront of this movement. These cities would do well to follow these principles, as the success of this ‘first wave’ of city-scale bike share systems in India will be critical for widespread adoption across the country.